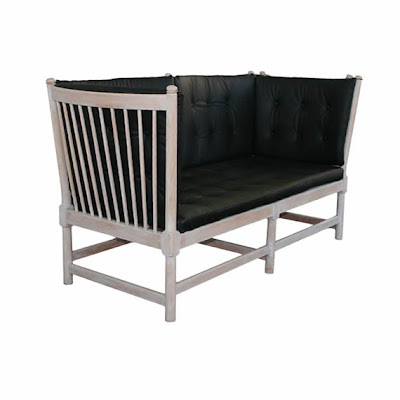 Trully striking and comfortable. 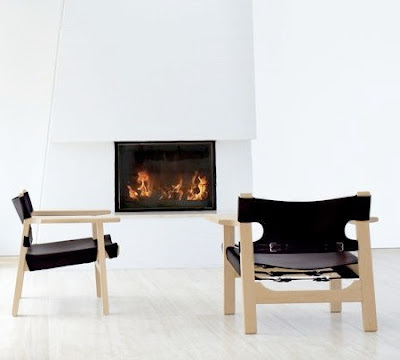 The Ant chair is a classic of modern chair design. 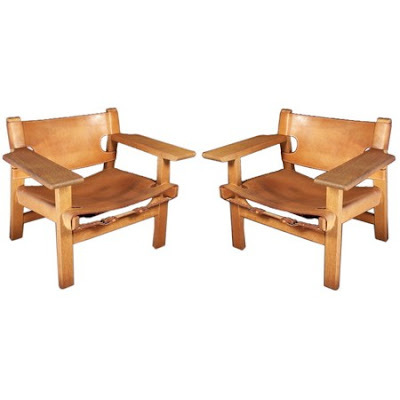 It was designed in 1952 by Arne Jacobsen for use in the canteen of the Danish pharmaceutical firm Novo Nordisk. The Ant ("Myren" in Danish) was named for its approximate similarity to the outline of an ant with its head raised. 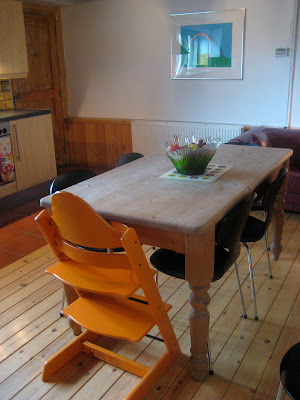 The chair was designed to be light, stable, easy to stack up, and to minimise tangling the user's feet. The original model had three plastic legs and a seat made from form-moulded laminated veneer; Novo ordered just 300 of them. They were manufactured by Fritz Hansen. 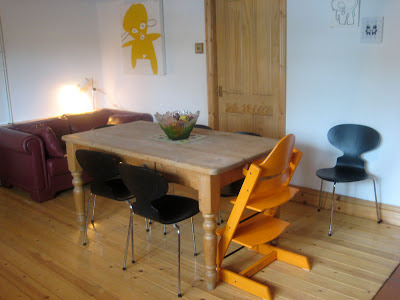 The chair has since proved very popular although the plastic in the legs was replaced by tubular steel, and a version with four legs was also made. 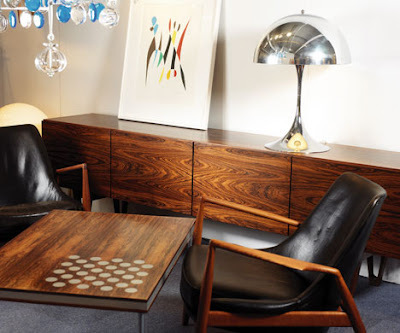 Arne Emil Jacobsen (11 February 1902 – 24 March 1971) was a Danish architect and designer, exemplar of the 'Danish Modern' style. 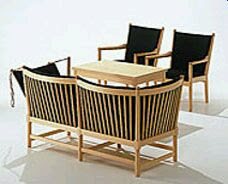 In addition to his architectural work he created a number of highly original chairs and other furniture. He received several international distinctions and medals. Arne Jacobsen´s designs came into existence as brief sketches and were then modelled in plaster or cardboard in full size. 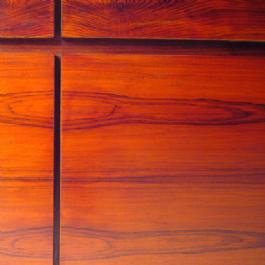 He kept on working until his revolutionary ideas for new furniture had been realized at the utmost perfection. The "Ant" from 1952 became the starting point of his world fame as a furniture designer and became the first of a number of lightweight chairs with seat and back in one oiece of moulded wood. 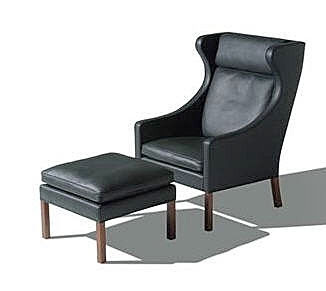 Model "3107" from 1955 is often merely called " The Number Seven Chair". It was launched in beech, black and white. The colour scale has through the years been further developed by a.o. 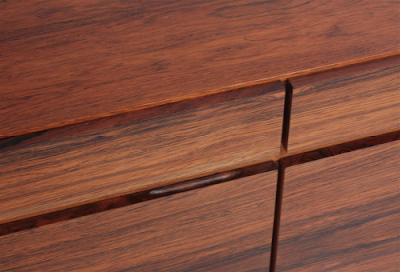 the Danish architect Verner Panton and the Danish painter Poul Gernes 1925-96 and today includes a variety of colours in lacquer or lazure as well as beech, maple, ash, and cherry. 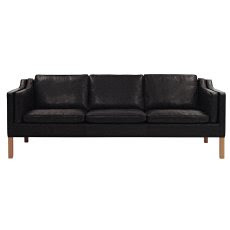 "3107" has become the most important success in Danish furniture history - manufactured in more than 5 million copies. The Royal Hotel 1956-61, situated in Copenhagen, is one of Arne Jacobsen´s masterpieces. For the decoration of the hotel he designed several pieces of furniture, lamps and fabrics, and also cutlery, glasses, and door handles. As significant counterpoints to the stiffly upright, monumental building his easy chair, the "Swan" and the "Egg", stand out as organic sculptures. During the 1960´es Arne Jacobsen turned to forms as the circle, cylinder, triangle, and cubus. On the whole, his mind as an architect began to influence his design. Both the stainless steel tableware set "Cylinda-Line" and the lamp series "AJ" reflect this. 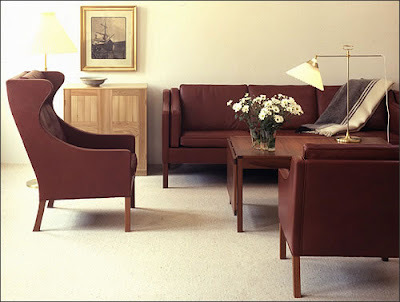 Common to all Arne Jacobsen´s designs is that they have become international design classics. 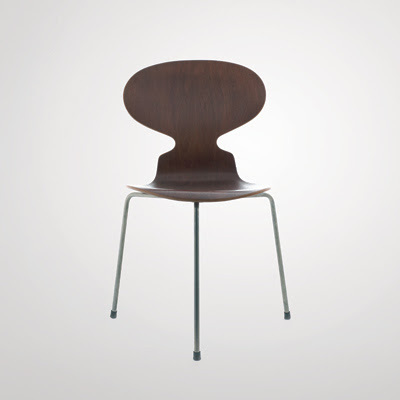 "The Ant" and "The Number Seven" ´chairs made Arne Jacobsen world famous as a furniture designer and made Fritz Hansen an international manufacturer of design and quality furniture. Fritz Hansen´s collection of timeless furniture includes both well-known Danish classics and more recent furniture series designed by Danish and international designers. I know its a big statement to say, but after a while you realise which is the most desired by both us and the Danes. After having a few to sell as well I can totally see why. It is beautiful, well proportion and elegant. 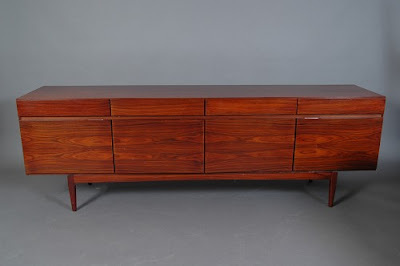 The use of Rosewood matching grain is striking, it was also designed in Oak, Teak and mahogany. 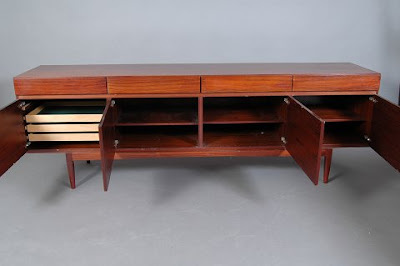 The invisible handles are ingenious and it is as modern today as the day it was built a true reflection on its designer IB KOFOD LARSEN and its manufacturer, Faarup Moblefabrik. 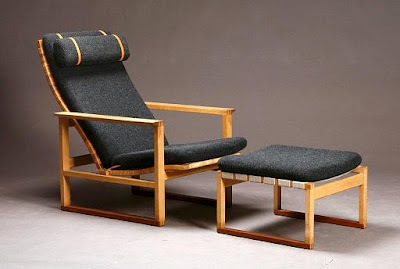 Børge Mogensen (April 13, 1914 in Aalborg - October 5, 1972 in Gentofte), was a Danish furniture designer. 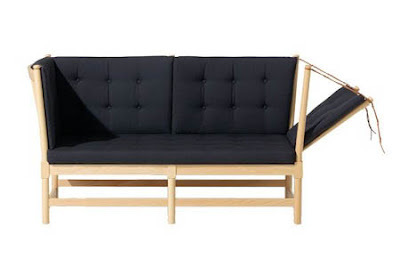 He was one of the most important among a generation of furniture designers who made the concept of “Danish design” known throughout the world. 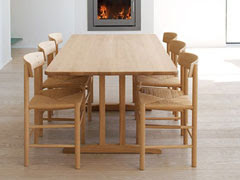 Together with colleagues such as Arne Jacobsen and Hans Wegner, Mogensen created international respect for Danish furniture design, and his simple and functional designs have for more than half a century enjoyed worldwide demand. 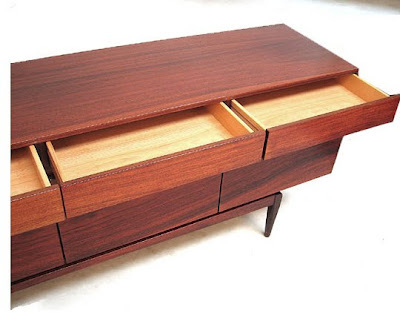 Børge Mogensen (1914–1972) started his career as a cabinetmaker in 1934. In 1936 he went on to study at the Copenhagen School of Arts and Crafts under Professor Kaare Klint before entering the Royal Academy of Fine Arts from where he graduated as an architect in 1942. 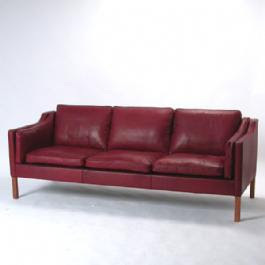 He became head of design at FDB (the Danish co-op) in 1942 before establishing his own design office in 1950. 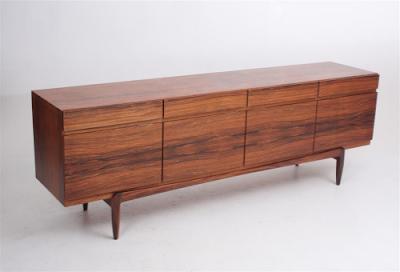 During his years at the Copenhagen School of Arts and Crafts the young Mogensen developed a close partnership with his mentor Kaare Klint and subsequently also assumed Klint’s approach to simple and functional furniture design. Later on Mogensen was to work as Klint’s teaching assistant at the Royal Academy. 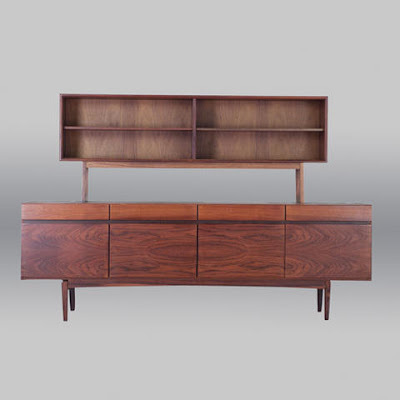 Functional is the word which best describes Børge Mogensen’s design. 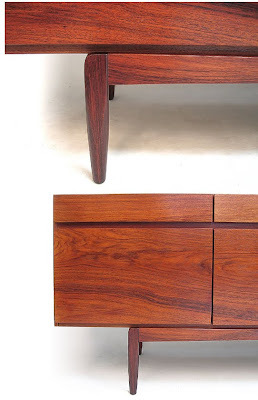 The majority of his furniture was designed with industrial production in mind and is characterized by strong and simple lines. His true genius is to be found in his almost scientific analysis of the functionality of a piece of furniture. 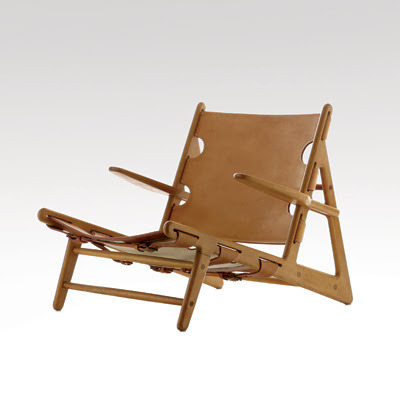 A smaller but essential part of Mogensen’s work was the cabinetmade pieces, one of them being “the Hunting chair” from 1950 made by Erhard Rasmussen. 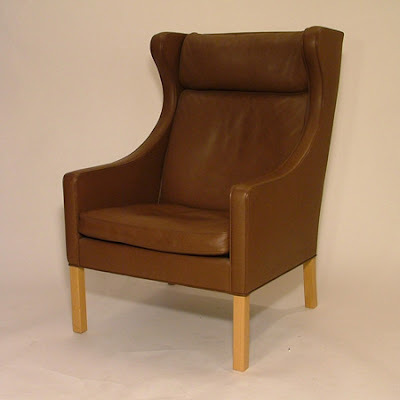 A simple low easy chair with an oak frame from where the strong natural leather seat and back is stretched. 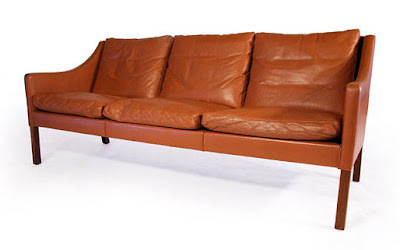 Other important pieces include “The Spokeback Sofa” designed in 1945, which with its lightness and simple, open construction differed from most sofas at the time, and “The Spanish Chair” from 1959, a low, robust easy chair. 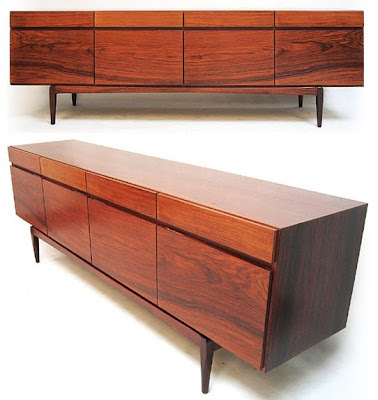 By the end of the decade, however, Mogensen had re-embraced a more straightforward functionalism that Klaus Meedom, writing about the Cabinetmaker's exhibit, said was "so strict that he has to violate his own rules to be able to breathe freely." 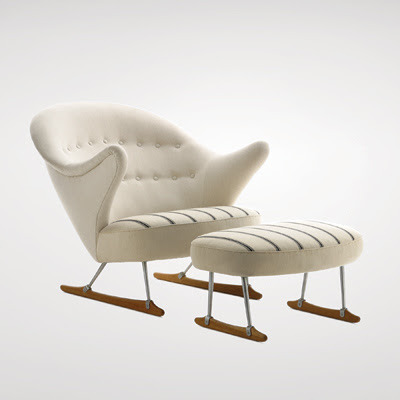 A redesigned "Spanish" chair in 1959 was praised for its elegance and materials. 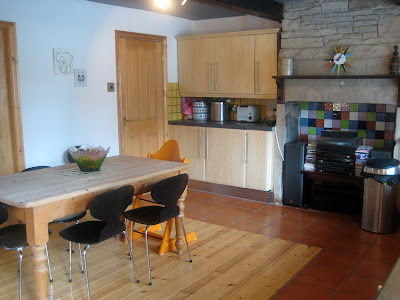 He designed a set of simple, sturdy and modest furniture for a seaside cottage in 1959, a very traditional oak table and chair set in 1960 and a set in pine to furnish a "husband's study" in 1962. Mogensen also collaborated extensively with weaver Lis Ahlmann on textile designs, and, after Klint's death in 1954, succeeded him as designer to the Danish Museum of Decorative Art.